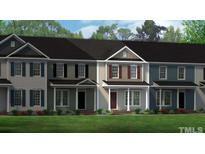 Find Morrisville, NC New Homes for sale. View Photos, Maps and MLS Data Now! Come see this great little gem. MLS#2248916. 4645. Come see this great little gem. MLS#2248926. 4645. Ceiling fans are included in both the master and living areas. Come see this great plan. MLS#2248934. 4645. For comparative purposes only. MLS#2248210. 3789. You won't want to miss this opportunity! MLS#2245662. 4356. For Comp Purpose Only MLS#2240806. 2983. For Comp purpose Only MLS#2240803. 2983. For Comp Purpose Only MLS#2240809. 2983. HOA maintained yard, exterior and roof! MLS#2238434. 3789. HOA maintained yard, exterior and roof! MLS#2238237. 3789. Lovely Chastain home, like model. MLS#2238227. 3789. 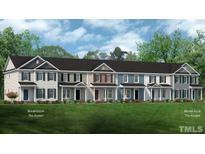 Tons of community features including community pool, clubhouse, and tennis courts! MLS#2237841. 4356. All nicely upgraded with Upgraded Flooring, Stainless Appliances, Granite Countertops, and MORE! MLS#2236851. 4356. You won't want to miss this opportunity! MLS#2236486. 4356. You won't want to miss this opportunity! MLS#2235781. 4356. Quality finishes in the kitchen with granite countertops and stainless appliances. MLS#2235447. 4356. 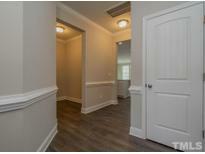 Master Suite features large walk in closet, tile shower, and garden tub! MLS#2234506. 4356. You won't want to miss this opportunity! MLS#2234427. 4356. You won't want to miss this opportunity! MLS#2234413. 4356. Quality finishes in the kitchen with granite countertops and stainless appliances. MLS#2234141. 4356. 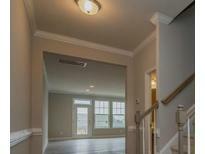 Excellent New Construction Neighborhood Opportunity!Move-in Ready IMMEDIATELY!Live nearly maintenance free!Convenient location!Just completed in Nov 2018,Completely Open & Bright!Durable laminate flooring,White Kitchen cabinets,w/quartz Counter Tops,Stainless Steel appliances,Gas Range,pantry,island,breakfast area,great family room,3 bedrooms,2.5 baths,laundry up,Huge Master facing backyard,w/oversized tiled shower,dual vanities,large linen closet&Walk in Closet,covered back patio,1 car garage,Investors welcome! Com pool under construction! MLS#2233989. 3294. Second floor game room offers additional entertaining space or kids play room! MLS#2233511. 4356. 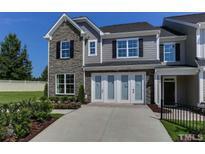 Take advantage of the last chance to own a brand new home in the Brier Creek area for under $250K. MLS#2233653. 3789. The home features many upgrades including hardwood floor in the living area, stainless appliances, and 2 outdoor entertainment areas. 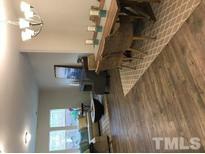 Must see to appreciate MLS#2232558. 4645. The home features many upgrades including hardwood floor in the living area, stainless appliances, and 2 outdoor entertainment areas. Must see to appreciate. MLS#2232492. 4645. These statistics are updated daily from the Triangle Multiple Listing Services, Inc. For further analysis or to obtain statistics not shown below please call Highgarden Real Estate at 919-759-5761 and speak with one of our real estate consultants.